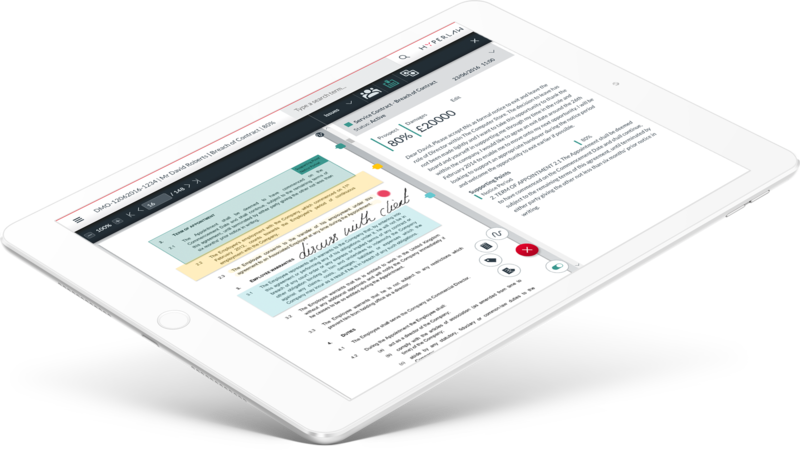 class-leading legal software for case preparation and presentation. Work on your case anywhere, anytime. HyperLaw is cloud-based legal software that enables lawyers to adopt a new style of working. Instantly prepare, review and present all evidence, arguments and key points for a case in one secure platform. HyperLaw optimises the case preparation process with three core steps: easily collect and build your case file from a variety of documents, work on your digital case file by using easy-to-use tools to prepare and review the case online and then lastly present or securely share your digital case file with clients, colleagues or court from a laptop or tablet. HyperLaw is tailored to every lawyer’s needs, whether you are a direct access barrister, a barrister in chambers or a solicitor in a law firm – we have a solution for you. The results are significantly lower costs, greater client service and ultimately improved profitability.